Unique Homes presents exceptional homes to an international audience of individuals. It has helped to bring together luxury professionals and high-end home buyers and sellers, this has resulted in billions of dollars in luxury home sales around the world. 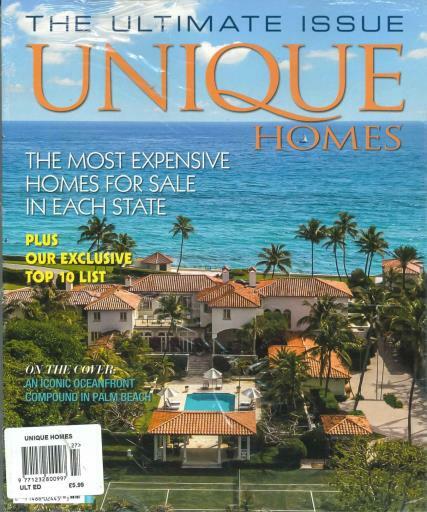 This magazine has been running for 40 years and has been a premier magazine for luxury real estate, unlocking doors to the most amazing properties for sale in the world. They have been able to stay at the forefront of the industry for over four decades because of the high end agents with cost-effective tools and services to grow their businesses in a very competitive market.